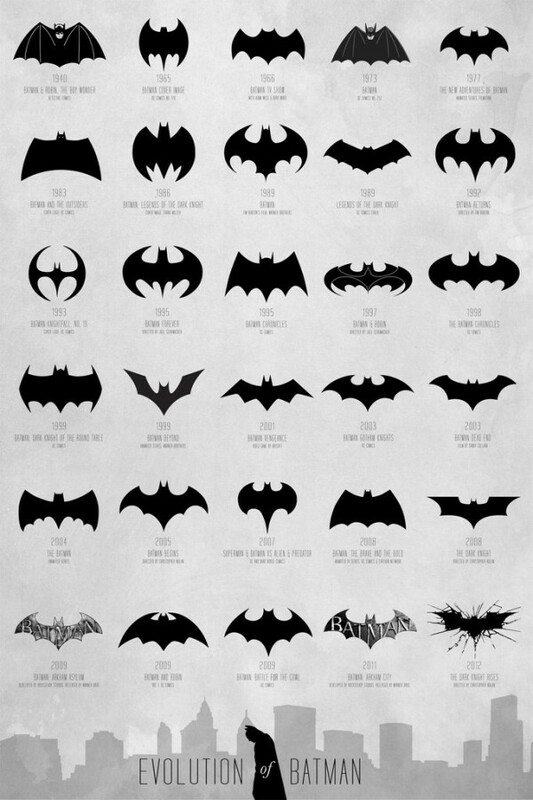 The Evolution of Batman poster is a visual history of the Batman symbol over the years. I can’t think of any consumer logo that has changed this much, but the Batman logo remains a very powerful and recognizable brand. A comprehensive and extensive chart of the Batman logo evolution, spanning over 72 years from 1940 - 2012 to map the transformation of a timeless hero. Thanks to DC Comics for creating this cultural icon that we can all obsess over, all logos belong to them. The infographic timeline covers 72 years (1940-2012) and shows different version of Mr. Wayne’s logo so the reader can easily distinguish the different iterations. Additional information like the year and media publication format are listed in text.